From the hit Studio Ghibli film Kiki's Delivery Service comes the Kiki's Delivery Service Jiji Petite Artcrystal Puzzle. 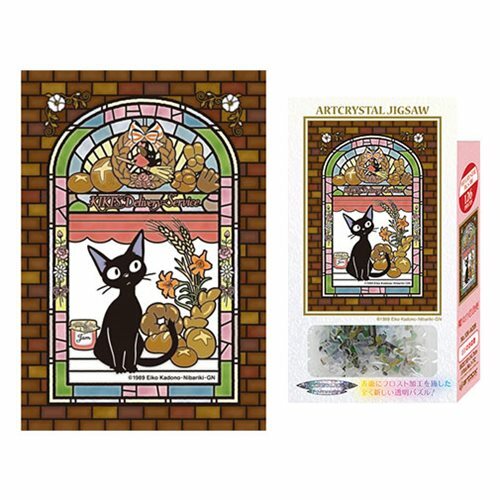 The Kiki's Delivery Service Jiji Petite Artcrystal Puzzle consists of beautiful, transparent pieces. Decorate your window with the completed puzzle and enjoy the stained glass look. The puzzle has 126 pieces. When assembled measures about 5 4/5-inches tall x 4-inches wide.